Common Roots turns the searchlight of historic Christianity on twenty-first-century evangelicalism. Originally published in 1978 as a clarion call to all evangelicals, this reprint presents Webber’s thoughts to a new generation and includes a foreword by David Neff, the executive director of the center that pays tribute to Webber’s work and supports the ancient-future faith movement.Webber’s primary concern is to uncover the roots of evangelical Christianity. In so doing, he looks critically at beliefs and practices of contemporary evangelicalism that are out of harmony with historic Christianity.Webber argues that examining the era of the early church (A.D. 100–500), and particularly the second century, offers insights that evangelicals need to recover for worship, theology, mission, and spirituality. 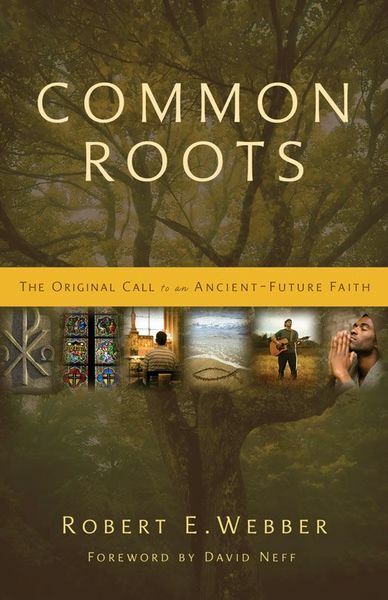 Chapters highlight a problem, investigate the belief and practice of the early church, and suggest an agenda for evangelical Christianity.Common Roots is required reading for anyone interested in the ancient-future faith movement, the writings and thought of Robert Webber, or evangelicalism’s relationship to history.